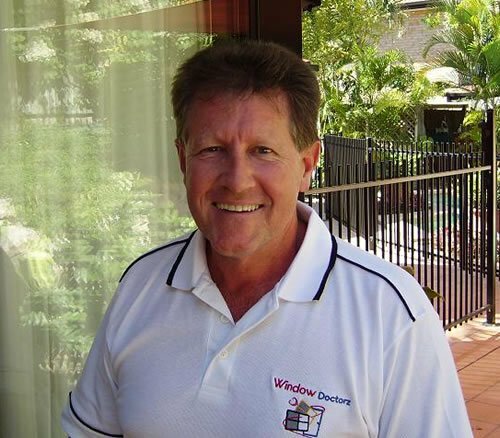 Window Doctorz is an all Australian company established in 2005 by STEPHEN BROWN, a qualified Civil Engineer and past member of The Institution of Engineers, Australia. Stephen’s professional career involved positions with small and large corporations in Sydney, Melbourne and Brisbane in capacities of technical consulting, management and sales and marketing. Window Doctorz is a consequence of Stephen’s considerable experience in industrial protective coatings, coupled with a desire to establish a company to meet a perceived niche market need. Stephen brings to the Window Doctorz organisation, sound technical knowledge, astute business skills and a strong sense of ethical business practices instilled through his professional engineering career. Since 2005 Window Doctorz has restored back to new condition many 100’s of old aluminium windows & doors in both residential and commercial properties. The company today has a credible and reliable brand name and reputation of providing a high level of quality work and client satisfaction. All staff are trained in the Window Doctorz process with particular emphasis on attention to detail. They have instilled in them the importance of ‘doing the job right the first time’ even if it takes a little longer and costs a little more. This grass roots philosophy places the company above other similar organizations that do not enjoy the same reputation of quality workmanship and consistent reliability. The company is now No.1 provider of aluminium window and door restoration services in south east Queensland. The Window Doctorz VISION is to help property owners (domestic and commercial) to improve the look and value of their properties for a cost effective investment. Our specialised service and products restore old aluminium windows, doors and screens so they look and work like new at a considerable saving in time and money over full replacement.